I was running errands the other day when I found myself confronted by multiple examples of abject stupidity. Some of them involved poor driving. But two of them were on display for me to document and share with you. That’s right, it’s a grate in the pavement that presumably opens up to water tunnels or. . . whatever, I don’t know. Basically, if you’ve stopped to purchase some stamps, there’s no reason to know what’s happening on a subterranean level, and surely no need to remove the heavy grate and go exploring. 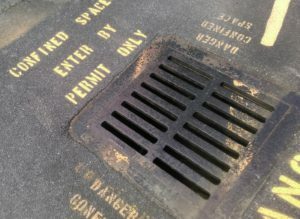 But what really kills me is that they offer up a warning that, should you decide that you want to remove this ginormous and heavy grate and enter the nether world beneath it, the space will be confined. So if you’re claustrophobic, this is not a good choice for you. But, wait, this grate has been there forever, right? The painted warnings, I think, are new. So what prompted the addition of warnings, and these warnings in particular? Do you think someone “broke into” a tunnel and then complained that the space was too squishy? 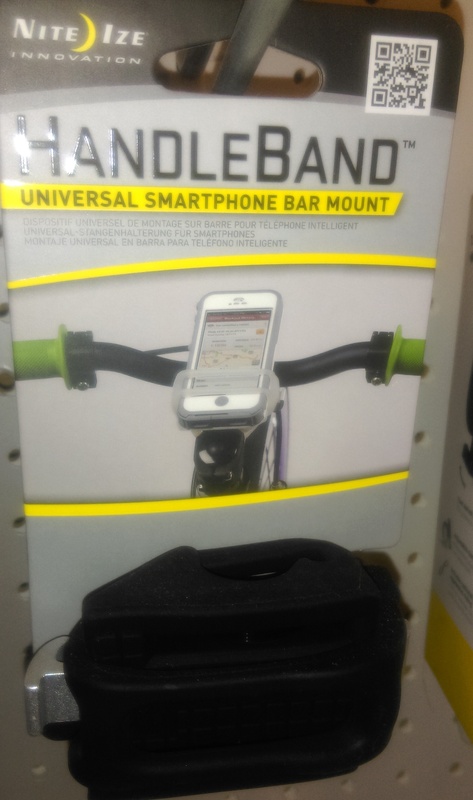 Hmm. . . .
That’s right: you can mount your phone directly in front of you on your bike. Sure, it’s a bad idea to text and drive. Sure, it’s easy to stop your bike, set a foot on the pavement, and rummage for your phone in your pocket. But apparently someone thinks that it’s way better to stare directly at your phone, perhaps even watch a SnapChat story or some tiny hamster videos, while you are also pedaling through traffic. I do not agree. That’s right, folks. You don’t need to go looking for stupidity in the latest political news. You can find it all around you.